Contingent-Accepting back up offers. 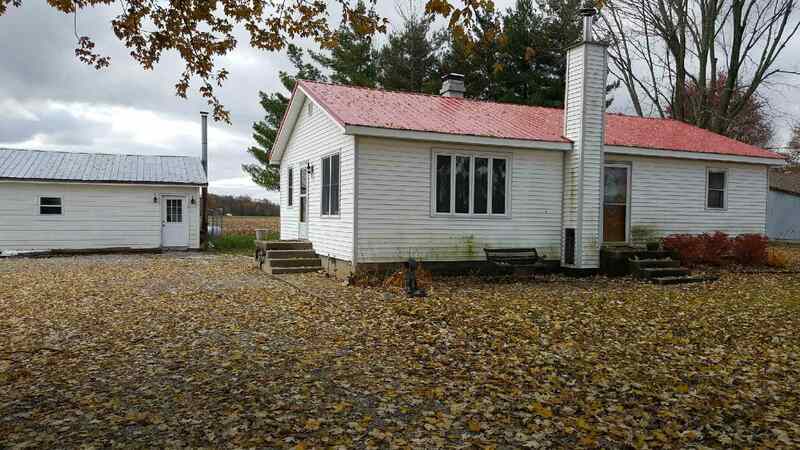 Move to the country and enjoy all it has to offer in this easy to maintain ranch home. Updates include metal roof, storm doors with built in blinds and screens, exterior doors, and windows. Inside the home, the bathroom is updated and the kitchen has newer appliances and plenty of cabinets. There are beautiful hardwood floors throughout. The deck has a pergola and gives great views of the field around the property. Enjoy a campfire on recently built wooden swing frame for seating all the way around. Large circle driveway with flagpoles in the middle and a detached 2 car garage for storage & parking.